We apply steel and stainless steel material of good quality, combined with high concentration diamond to make them which can be operated by various kinds of shaft machines and engraving machines. Specially designed with 3/32″ shanks to work with flex shaft machines. 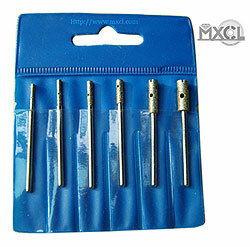 Suitable for micro-drilling of jewelry process, glass, ceramic, jade, art and craft engraving, stone, etc.